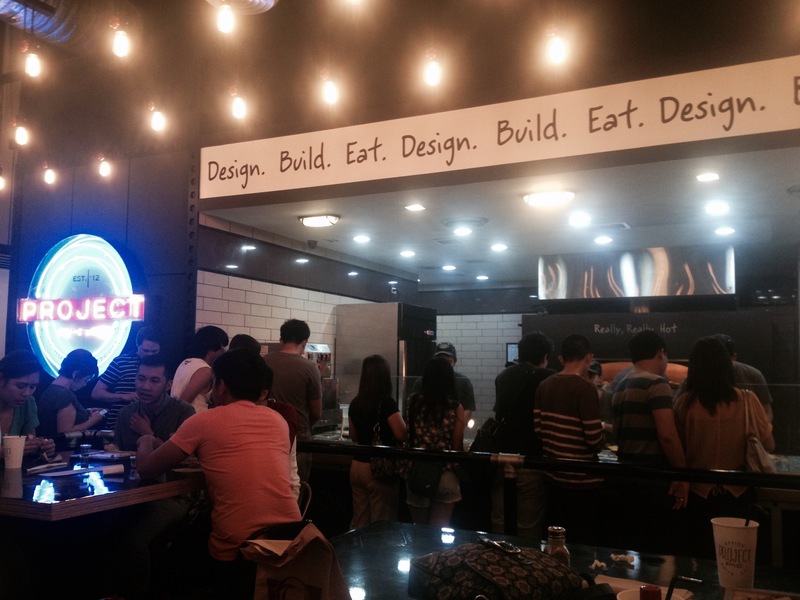 Just saw this on a newly developed site near Mall of Asia in Pasay where Project Pie is located. It is an eat-all-you-can style restaurant like Yakimix and Vikings, which I already tried. It seems fine, clean, and sassy. I just hope the food tastes good. Definitely will try this soon! 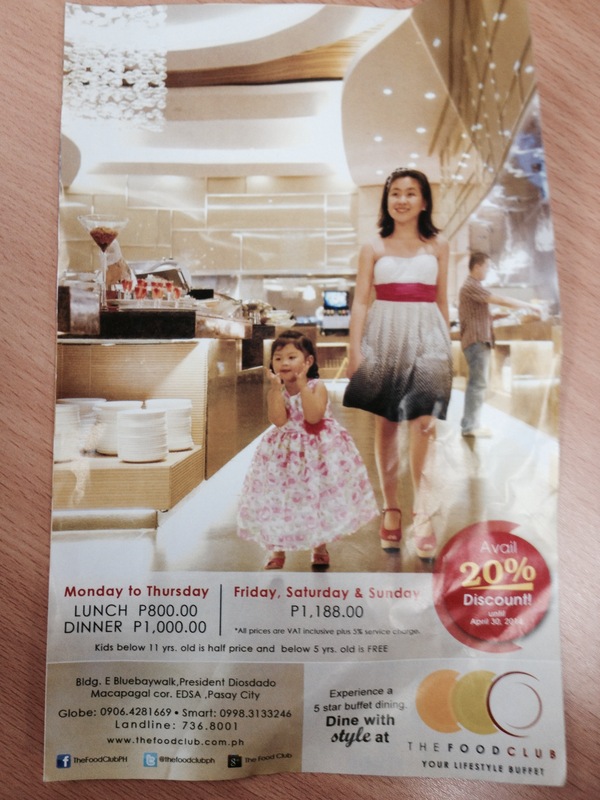 Avail of their 20% discount until April 30, 2014. I was planning to eat at Project Pie for a long time now so was kinda excited last Friday upon knowing that we will be dining here with friends. Located at Bluebay Walk, EDSA Extension, Pasay, Metro Manila, which can be easily seen on your right while driving along EDSA extension going to Mall of Asia (MOA). They also have branches at 515 Shaw, 1555 Laurel St. corner Shaw Blvd., Brgy. Wack Wack in Manadaluyong; Block 28 Commerce Ave., Alabang, Muntinlupa; and Ground Level, Grand Eastwood Palazzo, Eastwood Ave. corner Orchard Road, Eastwood, Quezon City. It is my birth month and I chose to celebrate it out of the country. Together with my travel buddy we conquered Malaysia for two days. So here’s the plan, we’ll be visiting Legoland, Genting Highlands, and Batu Caves plus the famous Bukit Bintang walk. However, because I was so busy with work I wasn’t able to do an in-depth research about our itinerary especially going to Legoland Malaysia. That is why our first day was such a waste, I didn’t know that Legoland was so far away from Kuala Lumpur. We traveled almost nine hours from KLCC to Johor Bahru and back. Well, lesson learned! Always always ask how many minutes or hours is the travel time which I failed to ask after buying a bus ticket going to Johor. *My two cents: leave early and better if you book for a place to stay overnight because it’s kinda tiring, really. Indeed, that’s the downside of DIY traveling. I will be posting our 1-day itinerary in Malaysia, which is supposedly a 2-day itinerary but because our first day was an epic fail we squeezed everything for a day and it was a success. Haha. The Grand Hyatt, just in front of our hotel. March 15, 2014 – marks the first all Honda City car showdown hosted by Honda Cars Kalookan. In support to Honda City Club of the Philippines (HCCP) I went there even though it meant traveling from South to North. I never thought that it could be this fun, cars are for boys you know! But hey I’m beginning to like it too, thinking of my future car set up like this and that. Haha. For the first time I was awed with what I saw, I learn to appreciate things and know more about cars. Before during car shows, I was like oh that one was cute, this one was nice, etc. Without really understanding what went on that car, what upgrades happened, or if it had any surgery. Hehe. A thought came upon me, what an overwhelming feeling would it be if people appreciate what you did to your car, just like art! So I did daydream what it feels like to have my car show off there. Definitely it will be pink! 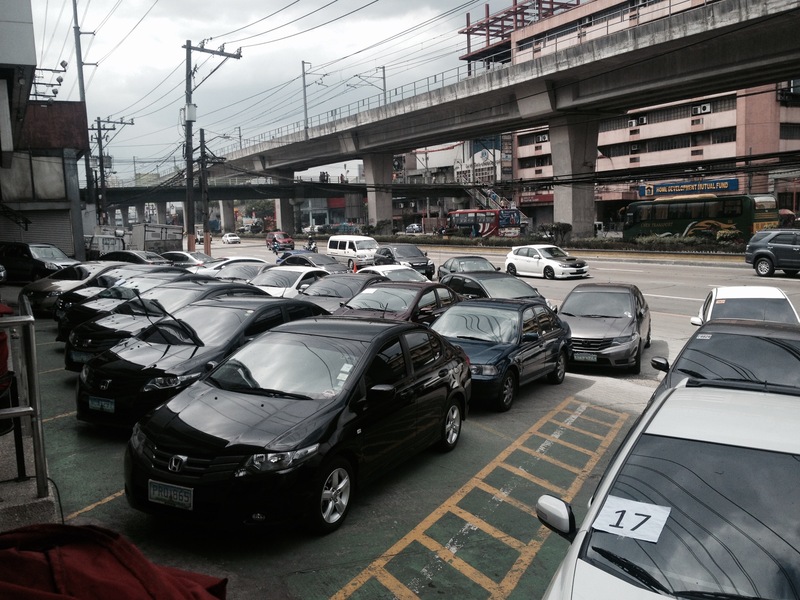 Jam packed with Honda City cars. Located at central of Kuala Lumpur, Impiana Hotel is a great find with hotels like Grand Hyatt and Mandarin that can cost you double your money. 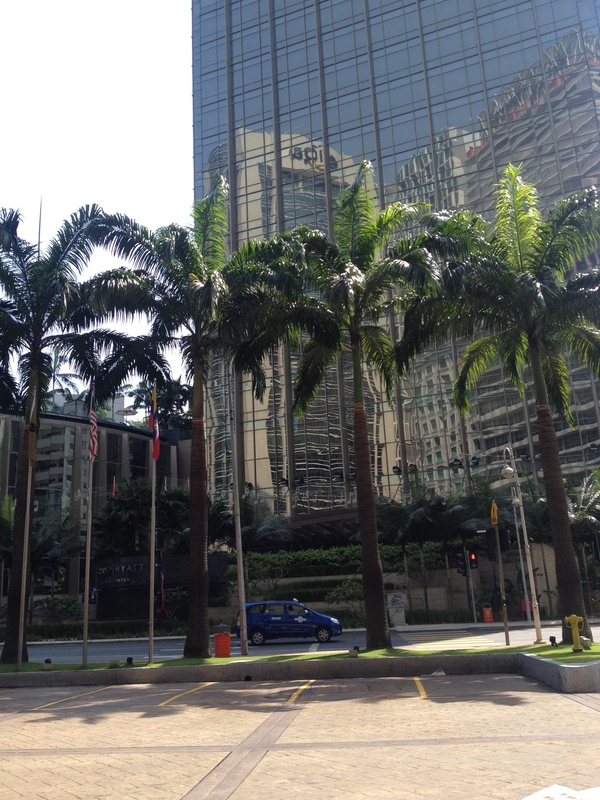 Just in front of the Grand Hyatt, it is also a 3-5 minute walk to Petronas Twin Towers, Suria KLCC where you can buy stuff and foods, KLCC Railway Station, and bar and club strips for those party people. Remember the reason why we are at Nasugbu Batangas? 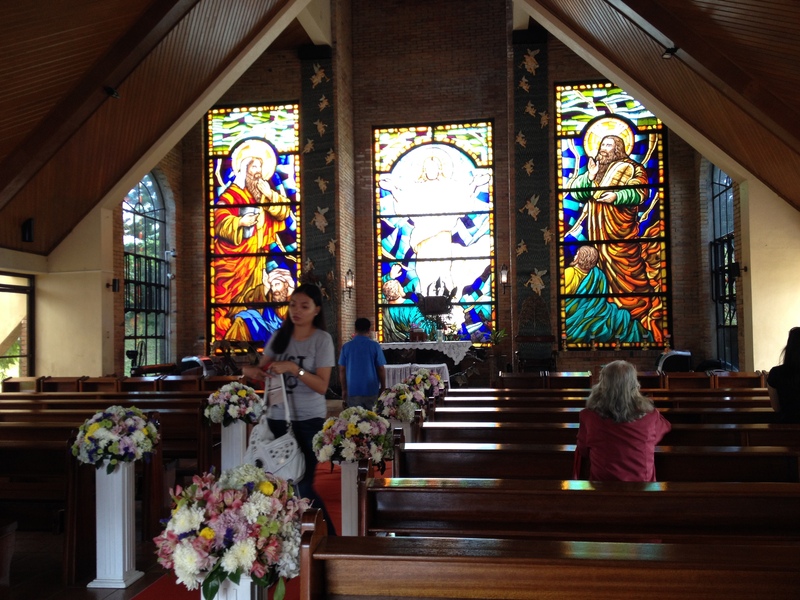 Since we’re already there, I thought why not drop by at Caleruega Church, famous for weddings and retreats. Located at Batulao, Brgy. Kaylaway, Nasugbu Batangas, it’s bordering Tagaytay and Nasugbu. Now I know why it’s dubbed as among the Top 10 wedding churches in the Philippines to get married. The Transfiguration Chapel, as what they call it, is so small that it has an intimate vibe in it.